How many event invitations do you receive every week on Facebook? 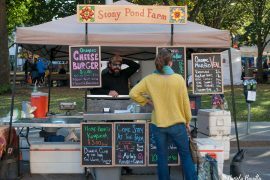 In the last years the events, especially in the food&wine field, have increased consistently and it’s very easy to end up with tens of invitantions on Facebook. 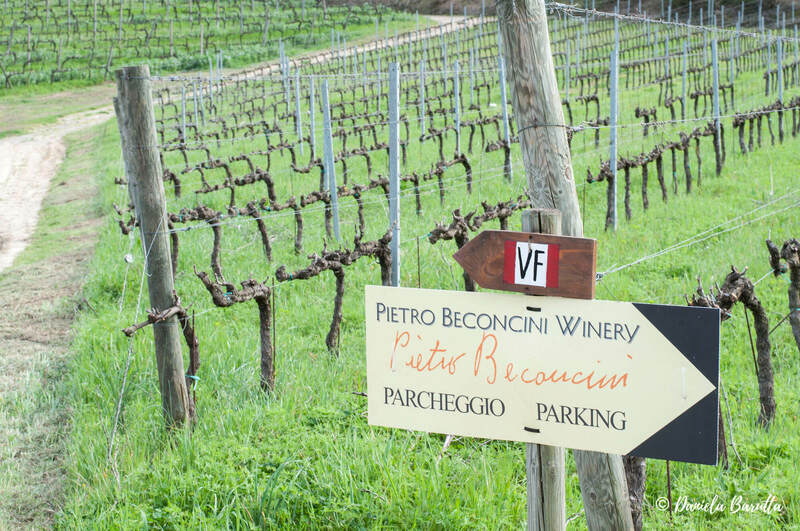 A couple of weeks ago I was invited to an event for the 8th of April at Pietro Beconcini, a wine maker in San Miniato I was already interested to know better. The event was organised by Vinix, a social commerce I joined a couple of years ago. In about one hour, we reach San Miniato and with no problems we find Beconcini’s company, easily located on a side street along the main road of San Miniato basso. We found ourselves surrounded by beautiful hills with grapevines, and thanks to the lovely weather in a few seconds we feel on holiday. We take the glasses and enter the small cellar where the wine tastings take place. 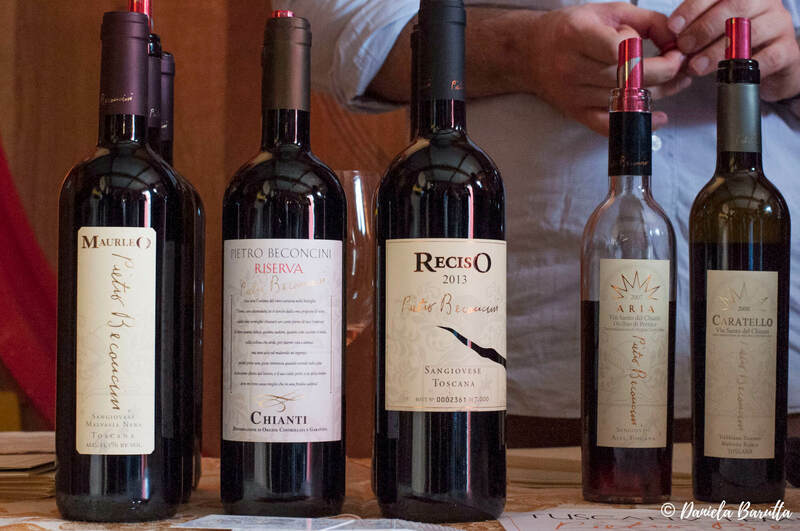 Beyond Pietro Beconcini, there other four wine and beer producers available for tastings, and also present on Vinix who sponsored the event. We started tasting the wines of Beconcini. We had the possibility to taste all his products, and we couldn’t help but starting with the three wines made from Tempranillo. Tempranillo is a fine Spanish varietal, typical from the area of Rioja, and which makes elegant wines. 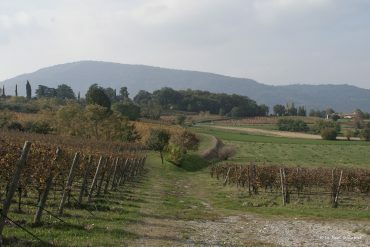 It is supposed that this vine variety has been brought from Spain through Via Francigena, which crosses Beconcini’s estate. Cosimo, the guy who guided us through the tastings, explained us that it was only in 2004 when they discovered that this varietal was actually Tempranillo, after an accurate DNA analysis. However this vine has adapted to the territory and it has slightly changed, and that’s why Beconini call this varietal Tuscan Tempranillo, pronouncing it with the Italian accent (and not the Spanish one). – Fresco di nero, a young red wine which looks like a rosé. 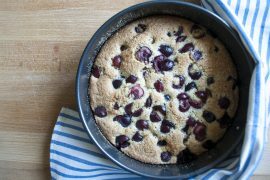 It is made with grapes from anticipated harvest to preserve more acidity. 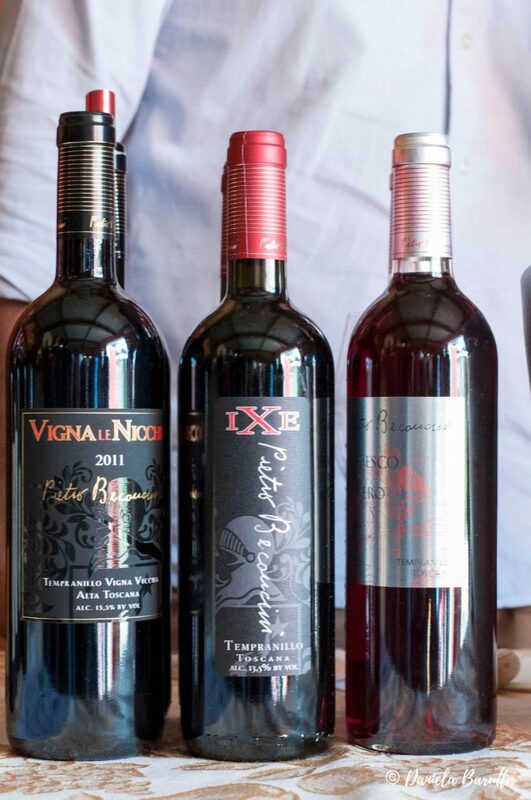 – IXE, the name comes to the fact that in the past they didn’t know which varietal was this one. So varietal X, which is pronounced ‘ixe’ in Tuscan. The grapes come from the new vineyards, the vinification takes place in cement tanks with an indigenous yeast fermentation. 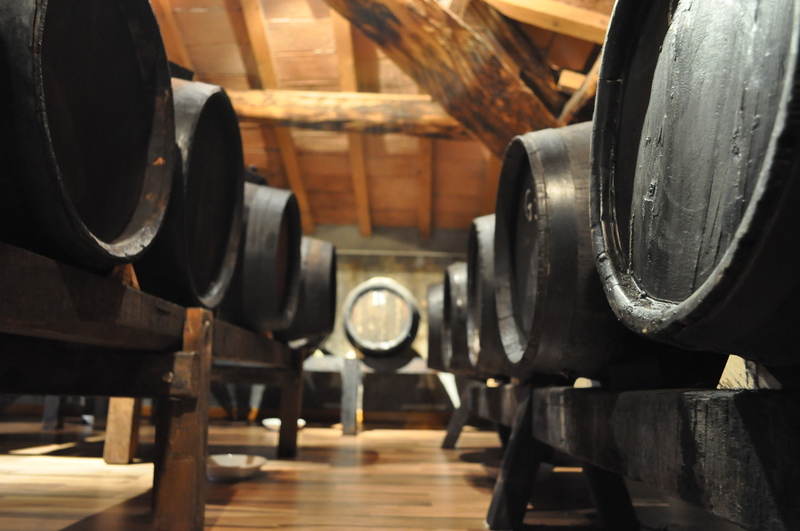 The aging process happens in barriques used the previous year for Vigna alle Nicchie, the superior wine. – Vigna alle Nicchie, is the highest interpretation of Beconcini’s Tempranillo. Its grapes are from the most ancient vineyard which are still ungrafted. 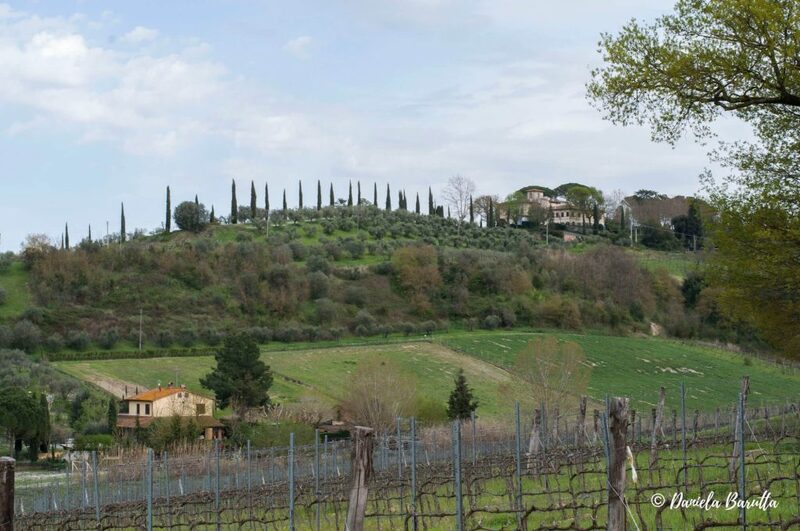 The soil of this vineyard is partially made of seashells of Pliocene epoch, that also gives the name to the wine (nicchie in Tuscan means seashells). The grapes are manually harvested the first week of September. The vinifaction take splace in cement tanks with lots of solid parts, which contribute to the complexity and structure of the wine. It’s a wine that needs a long phase of aging: 12 months in new French and American durmast barriques, then poured to make a blend and put again in the same barriques for other 12 months. Another two years in the bottles are needed before tasting this unique wine. 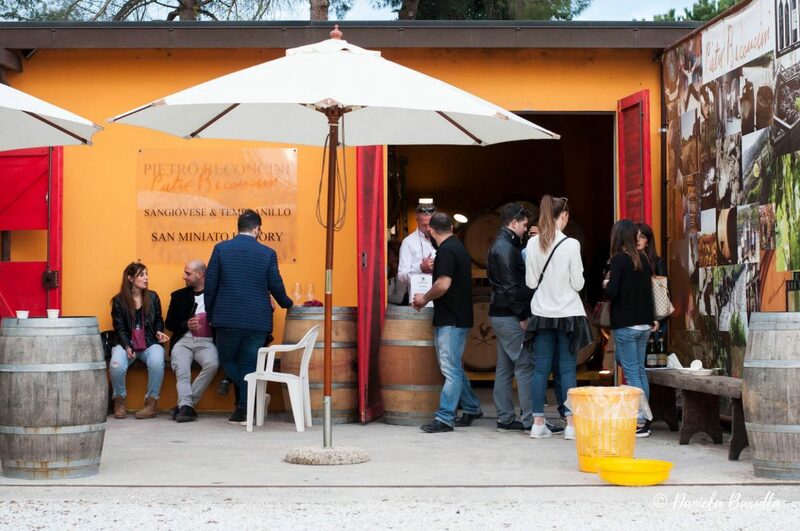 Cosimo also introduced us to the local expressions of Sangiovese through three wines: Maurleo, a Sangiovese blended with Malvasia nera; the Riserva, the most classical one, with Sangiovese blended with Canaiolo; and Reciso, a limited production whose grapes come from a Sangiovese cru. We end our tastings with two outstanding Vinsanto: Caratello, a classic Vinsanto, made from Malvasia bianca and Malvasia nera, and Aria, an Occhio di Pernice Vinsanto which means it is made from red wine grapes (here Sangiovese) produced in small quantities from 2007. Beyond Beconcini excellent wines, we could taste also some Verdicchio di Matelica from Azienda agricola Maraviglia, and for the first time in my life, also Vernaccia di Serrapetrona, one of the five DOCG of Marche region, which features three different vinifications. But I’ll you more about this wine maybe in the future. If you by chance come to San Miniato, I strongly recommend to pay a visit to this wine maker. The place is beautiful, the owner is kind and you could have different view and taste about Tuscan wines.